Just what the doctor ordered! Here's the perfect pick-me-up for that special someone who's on the mend. 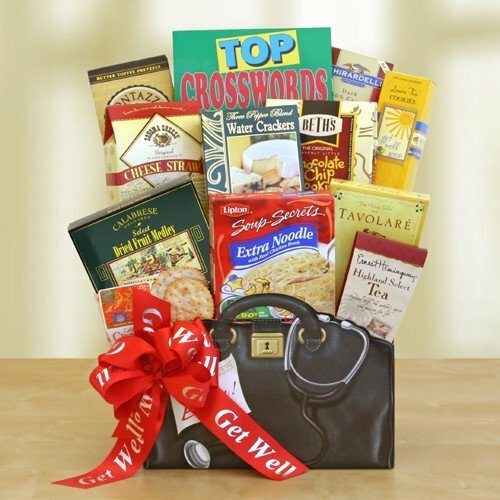 In an adorable doctor's bag gift box, our feel good items include seasoned almonds, Lipton's chicken noodle soup, soothing tea, Ghirardelli chocolate bar, cheese straws, dried fruit, crackers, tea cookies, snack mix, pretzels, Beth's chocolate chip cookies and a crossword puzzle book. Guaranteed to cheer them up!